La Fenasosa is a private property located in the Nature Park of Sierra Mariola in the province of Alicante, with rides distributed within its 1000 acres of land and marked by different colours depending on the levels of difficulty. More than 20 km. 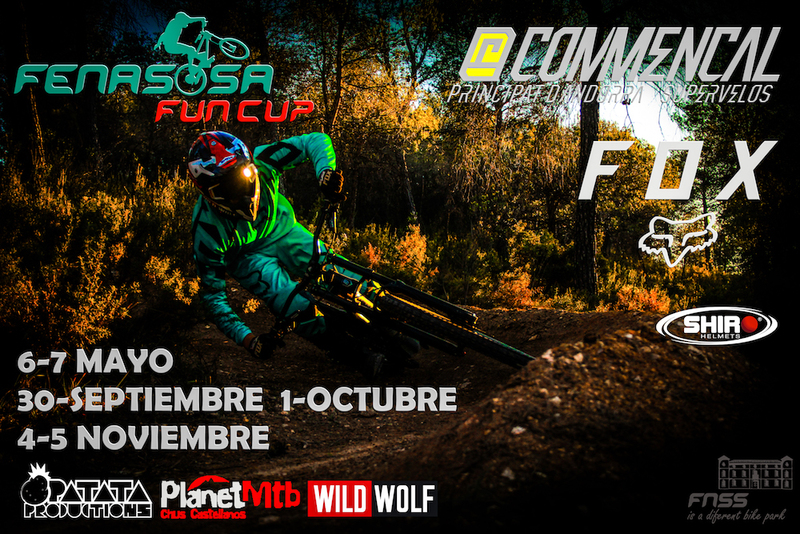 of rides of Downhill, Freeride, Wood Park, Four Cross,... rides of different types and for all levels, where you’ll find all kind of tracks from high difficulty only for experts to very funny and smooth ones for all riders. In the Nature Park of Sierra Mariola, with slopes of all kinds and for all levels. La Fenasosa offers the possibility of accommodating at our Castle dated from 1890, or our new wooden cottages. ¿As well as wood cabins.You decide!? For your convenience, if you prefer to only ride downhill. Make your reservation through the web.